This past Sunday, June 13, 2010, we welcomed Taylor Drenzyk, our 2010 Peacemaking Essay Winner, and his family. 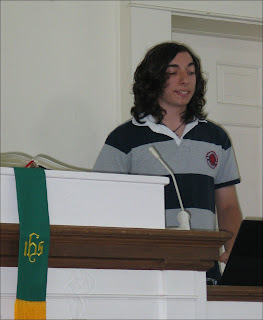 Taylor read his winning essay to the congregation. Taylor is a junior at the Bellport High School and attends Grace Lutheran Church in Mastic Beach. 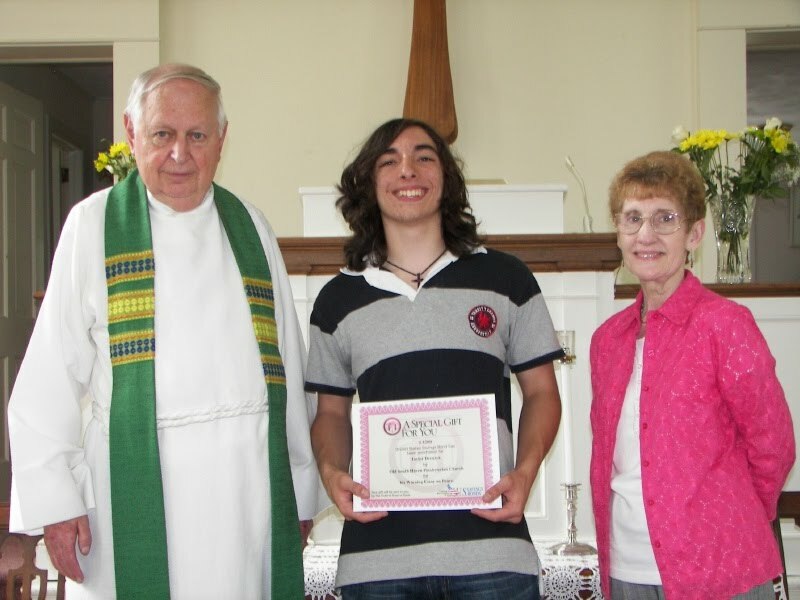 In July 2009 he went on a youth Mission Trip sponsored by his church on the Eastern Shore, Virginia, "for an action-packed week of service to the community." In 2006, while still in the Bellport Middle school, he won first in Martin Luther King, Jr. essay contest. The Peacemaking Essay contest is annually sponsored by the Old South Haven Presbyterian Church, and is open to students at the Bellport High School. The winner is awarded a U.S. Saving bond by the church. In addition to the reading of the essay to the congregation, it is published in the local newspaper, the Long Island Advance. this is my boyfriend! congrats baby!